The strategic location of the Russian Far East and its huge oil and gas reserves make the region the most promising supplier of energy to the Asia-Pacific. Moscow is ready to increase energy supplies to the Asia-Pacific Region, Russian Energy Minister Alexander Novak said at the Eastern Economic Forum in Vladivostok on September 4. According to the minister, Asia has some of the largest and fastest growing markets in the world. Novak said Russia needed to develop the right infrastructure to be able to deliver energy to the lucrative markets. “The goal of energy policy is to diversify energy exports,” he said, adding that an “energy bridge” needed to be built between Russia and the Asia-Pacific. 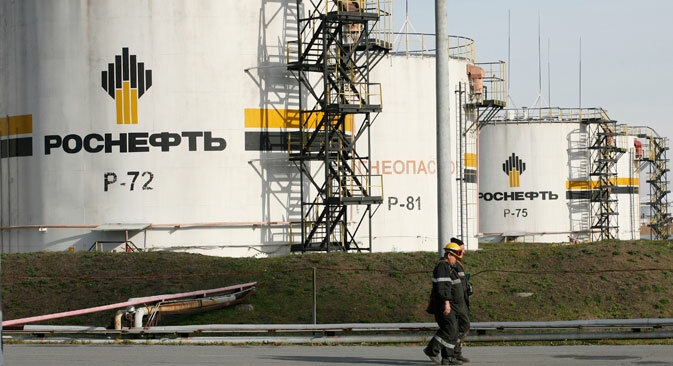 According to Rosneft President Igor Sechin, the Asia-Pacific continues to be a resource-scarce region, making it a lucrative market for Russia. Currently, about 50 percent of the region’s energy requirements are met with imports. “The import of hydrocarbons to the Asia-Pacific should grow to 850 million tons of oil equivalent in 2030, and it will reach 1.5 trillion tons of oil equivalent by 2045,” Sechin said. He added that the huge energy reserves of the Russian Far East make the region the most promising supplier of energy to the Asia-Pacific. The oil and gas clusters in the Russian Far East are closer to North Asian markets like China, Japan and South Korea than Russia’s competitors such as Australia and the United States. Sechin said Russia has the largest hydrocarbon reserves in the world. He echoed Alexander Novak’s sentiments on building the right infrastructure in the Russian Far East to supply the energy-hungry Asian markets. “It is necessary to create this energy bridge between our country and the countries of Asia-Pacific,” Sechin said.